Blurb: The last story in the fun & flirty #LoveLondon series from exciting new chick lit author Nikki Moore! The perfect novel for reading in the sunshine… and falling in love with London. A summer to remember…or forget? When Zoe Harper returns to the UK after five long years in New York, the last thing she expects is to find her younger sister Melody jobless, homeless, broke and dumped. Unfortunately, life has a way of delivering the unexpected. She should know that, given her ex-fiancé Greg’s faithless behaviour. Filled with rage and determined to get revenge on the infamous Reilly brothers for her sister’s heartbreak, as well as get some answers, Zoe hatches plan Nannygate. Unfortunately that means moving in with the gorgeous but uncaring music producer Matt Reilly to be nanny to his two adorable, complicated children. But something isn’t adding up, and over the course of the hot London summer, she starts to think that perhaps Matt isn’t so bad after all. Let down by his last nanny and weighed down with guilt about his wife’s death three years before, wealthy but camera-shy Matt has spent a long time pushing people away, including his own kids. His stunning new nanny challenges him every single day in completely different ways, but maybe that isn’t such a bad thing? But what happens when you open your heart, and someone isn’t who you thought they were? And can it really be true love when it’s on the rebound, and starts off with a plan for revenge? 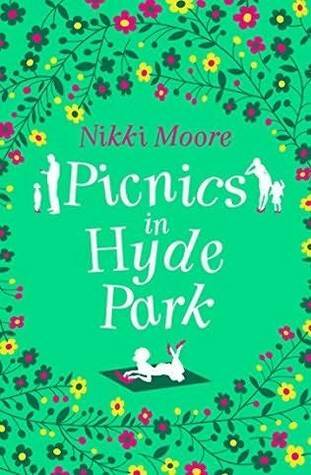 Review: I have read and enjoyed a couple of the #LoveLondon short stories that Nikki Moore has released during this year, and I really wanted to read them all before starting Picnics in Hyde Park, the full novel that closes this series but when it landed on my kindle, I just couldn't resist diving it straight away. I have to admit though that I was equal parts curious and worried about the premise of this book. I have read quite a lot of stories with the same rough idea: widowed father who doesn't really connect with his children and beautiful nanny who makes him realise what he's missing out and both end up falling in love with each other. 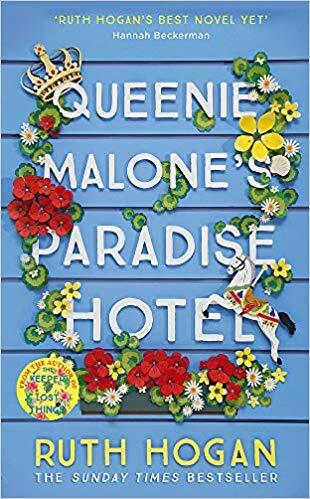 But I shouldn't have worried at all, Nikki Moore managed to give this story another dimension, adding a bit of mystery, some secrets, a couple of twits and, especially, lots of heart and soon I found myself totally hooked with Zoe and Matt's story. One thing I really enjoyed with the story were Matt's children. Nikki created these two little kids with their own personalities and with their own story to tell. I think that, as characters, they were well developed and believable and added a fun spark to the story. During this book we also have some guest appearances from the characters of the previous stories in the series. I always enjoy catching up with old beloved characters, I am curious like that. And now I can't wait to pick up the stories I haven't read yet in this series. Nikki has created such lovely and heartfelt stories with the beautiful city of London as one more character too. I loved visiting all these parts of one of my favourite cities through news eyes and I have noted down quite a lot of locations for my next visit. A booklover from Barcelona currently living in Munich, who enjoys reading, baking, travelling and crafting. ALL CONTENT AND IMAGES © Copyright: ALBA FORBE (UNLESS OTHERWISE STATED).